This article is courtesy of http://www.yourmortgage.com.au/ filled with great advice. Whether looking to buy your first home or upgrading to larger digs, you need to get your financial health in order before you even begin browsing realestate.com.au or flicking through the local newspaper. This is because the state of your finances determines exactly how much you can borrow for your new home, says Lisa Montgomery, head of marketing and consumer advocacy, Resi Home Loans. “Keeping track of your finances and being able to present all of the information that’s required is pretty much going to ensure that you fast-track your application through to approval,” Montgomery says. Your first step towards maximising your borrowing potential is to minimise your outgoings. Credit cards and store cards are common consumer debts, with Reserve Bank of Australia figures showing that the average Australian has a credit card balance of $3,141, as at August 2008. These types of easy-access credit cards attract exorbitant interest rates of up to 30% per annum, so even a bite-sized debt can seriously chew into your mortgage-borrowing capacity. “Store cards don’t really have a purpose, other than to generate profits for the store,” says Andrew Rocks, financial planner and director of financial advisory firm the Announcer Group. If you’re preparing to apply for a home loan, Rocks suggests that you lower 79your credit limits to the minimum amount you require, and request that any future automatic or proposed limit increases are cancelled. If possible, work to pay off any unnecessary credit and store cards then cancel them, he adds. If you are disciplined with your finances or use your credit card to pay bills, there are ways you can get around cancelling your cards or reducing your limits, says Margaret Lomas, director of Destiny Financial Solutions. “Most banks consider the full outstanding potential debt on the credit card when they’re assessing your borrowing capacity,” she says. In this situation, you would need to prove that you pay out your credit card in full each month with at least three consecutive statements. “If you want to keep your credit card limit and use it that way, find out which banks do assess your criteria in this manner,” Lomas says. “I have about $100,000 available across several credit cards, but none of them have any debt on them,”she explains. Once your finances are in order and you’re ready to put your application in, organisation is critical, Montgomery says. The lender takes all aspects of your financial life into consideration, from how much you earn and your employment history, to your outgoings, savings history and outstanding debt balances. “If you have any dependants, any kids, they take that into consideration, too,” Montgomery adds. The application process is about giving your lender confidence, so anything you can do to show that you are an honest and trustworthy borrower will impress the banks. 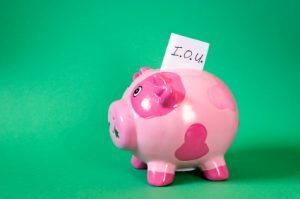 “Having a structured savings history helps – showing that you’ve saved regularly over at least a 12-month period is as important as the amount of savings you’ve accrued,” Rocks says. Remember that mobile phone bill you forgot about when you went overseas, and ended up paying it nine weeks after the due date? Or the time when you moved and neglected to update your address with your store credit card provider, and therefore didn’t get a statement – or make any repayments – for several months? “The bills you’ve paid are important – it might be a couple of years since you’ve had an issue paying a mobile balance or electricity account, but if you’ve been late or defaulted and something’s happened in your past financial history, that could end up coming and biting you at the worst possible moment,” Montgomery says. It’s important not to try to cover things up, especially if there’s something in the back of your mind that you think might pop up. “I’ve seen it so many times when someone hasn’t brought it up, often because they didn’t want their partner to know that they’d had this huge debt or default in the past,” Montgomery says. You can check your personal credit rating through organisations such as Veda Advantage if you’re not sure how it is shaping up. A free report can be sent to you within 10 days, or you can fast-track the application by paying an express processing fee of around $30. “A lot of people say no when you ask them if they suspect any possible default, but in the back of their mind, there might be a phone contract or some small issue that they think might cause a problem,” Rocks says. Be proactive with credit agencies, he advises, and when you’re submitting the loan make sure you explain in detail how the default occurred – ideally, in writing. “Your application is going to be looked at in totality, so your record of repayment, income and other assets all come into play,” Montgomery adds. Because everyone’s circumstances are different, a broker can help you to pull all the pieces together to give you an overall picture of how your application is looking. Your best bet is to arrange an appointment with several lenders and brokers, rather than giving your business to the first mortgage provider you meet with, Montgomery explains. “It’s good to have an appointment or two with a couple of different organisations, because that’s going to give you great insight into what you need to do,” Montgomery says. The boost to the First Home Owner Grant (FHOG) is not likely to increase your access to lending or the amount that you can borrow, because “your deposit doesn’t increase your borrowing power, per se”, Margaret Lomas explains. What it will do, however, is decrease your loan amount, and that’s going to give you the opportunity to pay off your debt more quickly. If you had a deposit of $20,000 and a FHOG of $7,000, and you wanted to purchase a home for $300,000, your loan would be $273,000. With the FHOG boost, that loan is reduced to $266,000. The difference might only amount to $10 or $20 a week, but every cent adds up – and if you can commit to paying those few extra dollars off the mortgage, you can reduce your interest payable and your loan period in the long-term. “It’s a fantastic opportunity – I contacted my daughter in London straightaway, because she’s moving back soon, and I said: ‘You need to be able to buy a place between now and 30 June’,” Lomas says. “If she decides to build and signs a contract in June, she then has another 12 months to save, because it takes about that long for a building to be completed. So she’ll have the $21,000 FHOG, plus any additional amount she can save between now and the middle of 2010, when the building is completed. If you buy an established house as a first homebuyer and get the $14,000 grant, you generally get access to stamp duty concessions as well. “In effect, the costs are just going to be limited to conveyancing, and you can get that done relatively cheaply,” Lomas says. The initiative is also going to help homebuyers to reduce their lenders mortgage insurance (LMI) obligation, because the cost of the premium increases as the loan-to-value ratio gets higher. “If you’re borrowing 95%, the LMI premium will be higher than if it’s 90% – and the premium at 90% is higher than if you’re only borrowing 85%. And if you’re saving for a deposit anyway, “you may as well use the First Home Saver Account,” Lomas adds. “You can save as much as you like in the account, but for your first $5,000 per year, the government deposits another $850,” she says. “That money earns interest, but there’s only 15% tax on those earnings, rather than your individual tax rate, which is likely to be 30%.